"She was smiling a big broad smile the entire time." Earlier this week, Carolyn B. R. Hammett and her husband were driving near their home in Greenbelt, Maryland, on a very stormy afternoon when they spotted something unusual. 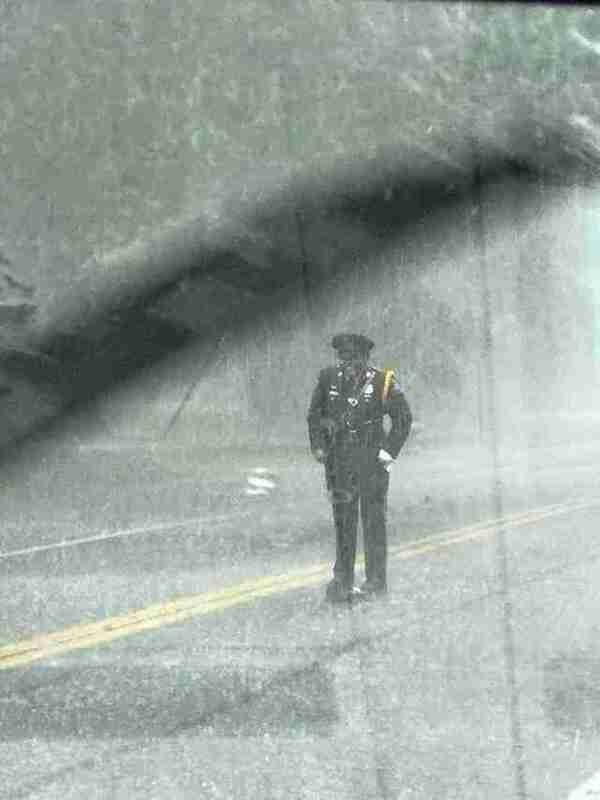 There, standing firmly in the middle of the rain-drenched road, was a police officer. She was soaking wet, but smiling the biggest smile. Hammett was confused at first, thinking the road must be flooded and that the officer was there to alert drivers. But that was not the case. "As we got closer, we realized that she was standing over something," Hammett told The Dodo. Nearing the spot, Hammett then discovered that the officer was actually standing over a snapping turtle who, quite unwisely, had chosen to rest in the middle of the street. Given the poor visibility that day, the animal could easily have been run over — if it weren't for his kind protector, of course. The officer was saving his life. "I couldn't believe that she was standing there guarding that turtle in all that rain," Hammett said. "Not many people would do that, regardless of their occupation. She was serving and protecting in every sense of the word." 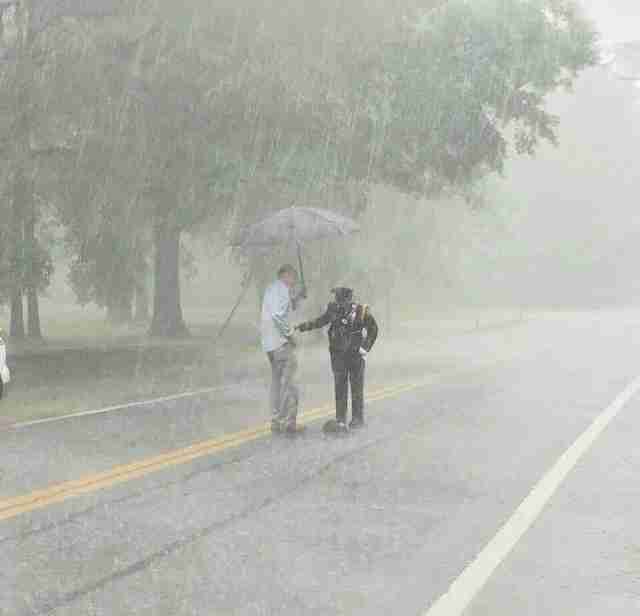 Hammett and her husband pulled over to help, shielding the cop from the rain. Turns out, the officer had been on her way home from a ceremony when she was alerted to the animal's situation. 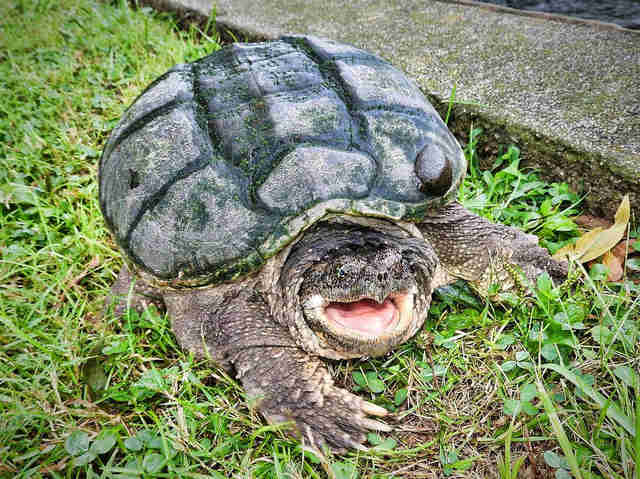 Since snapping turtles can be dangerous to handle, she had called animal control for assistance, but they had yet to respond. So, she had taken up her post there to protect him in the meantime. Rather than make the officer wait longer, Hammett hurried home to retrieve two shovels, which she and her husband used to lift the turtle safely off the road. Their efforts had prevented tragedy for the turtle. While it was the rescued turtle who had the most to be grateful for, Hammett couldn't help but feel appreciative, too. "The officer thanked us and we thanked her and we all went on our way," Hammett said. "She was smiling a big broad smile the entire time and she never seemed to care that she was drenched completely through. She was delightful, inspirational, kind, all the things that you think a police officer should be." That officer's name is Sharnise Hawkins-Graham. 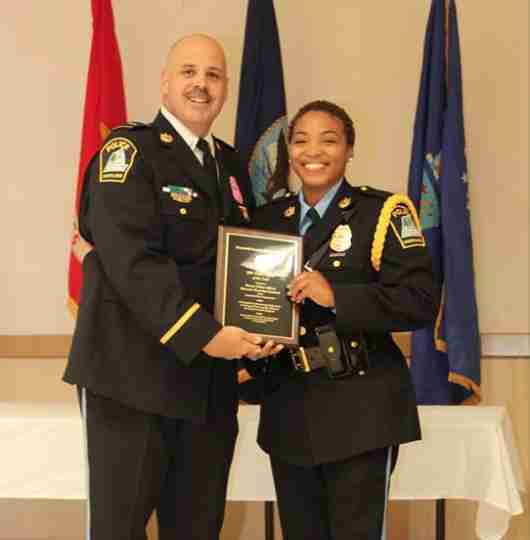 Last October, Hawkins-Graham was named the Greenbelt Police Officer of the Year — a title she clearly deserves for caring even for her city's smallest residents, and inspiring others to do the same.